Howard The Duck interior splash page from Crazy Magazine #65. Shows Howard and Beverly in "The Audition". 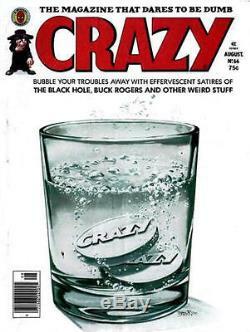 Picture of crazy magazine is a stock photo for reference, it is not included in sale of page. International Buyers - Please Note. We will not do it. 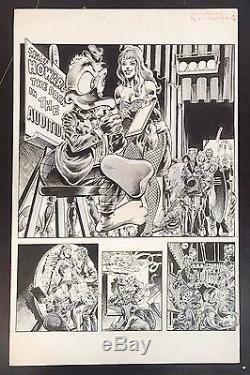 The item "Howard the Duck Original Comic Splash Page 1980 Crazy Mag 65 Stern Broderick Gil" is in sale since Sunday, December 25, 2016. This item is in the category "Collectibles\Comics\Original Comic Art\Splash Pages". The seller is "tatescomics" and is located in Fort Lauderdale, Florida. This item can be shipped worldwide.